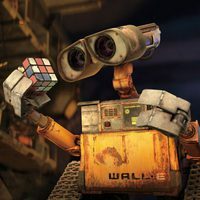 After hundreds of lonely years of doing what he was built for, WALL-E (short for Waste Allocation Load Lifter Earth-Class) discovers a new purpose in life (besides collecting knick-knacks) when he meets a sleek search robot named EVE. 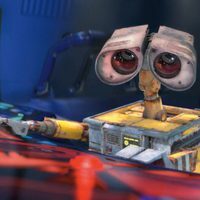 EVE comes to realize that WALL-E has inadvertently stumbled upon the key to the planet's future, and races back to space to report her findings to the humans (who have been eagerly awaiting word that it is safe to return home). 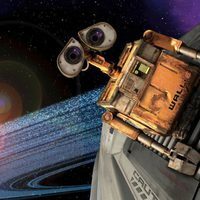 Meanwhile, WALL-E chases EVE across the galaxy and sets into motion one of the most exciting and imaginative comedy adventures ever brought to the big screen. 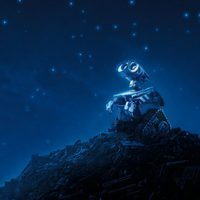 Joining WALL-E on his fantastic journey across a universe of never-before-imagined visions of the future, is a hilarious cast of characters including a pet cockroach, and a heroic team of malfunctioning misfit robots. Write your own 'WALL-E' review.